• Big savings over the competition. Save BIG on 6 or more domains! With more than 19 years of experience in the day to day operations of a successful hosting company, we have the experience and know how to keep your email and websites up and running. Each package comes with the popular browser-based Appies Website Manager Control Panel that makes developing and maintaining your Website easy and fun! Appies is also PHP enabled and provides you with a growing list of pre-installed applications for a cutting-edge interactive presence. 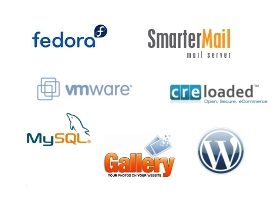 From our cost effective DKG Mail Service (powered by SmarterMail 7 Enterprise) and Shared Hosting Plans, to our parent company’s VMWare Server, VMWare ESXi, VMWare vSphere and Ultimate Dedicated Server Packages, we have a proven solution for your web hosting needs. Order your DKG Hosting Package today! Do you have a need for website services? Are you thinking about launching a new website or in search of a new webmaster for your existing website? Is it time for a new look for your old website? We can work with you to create a new web presence, update your current website, launch a new eCommerce Store, WordPress Blog or Community Website or audio/video creation and streaming. Search Engine Marketing: Thirty-three percent of all users think that any company who has a top search engine ranking must be a leader in their field. Does your Website show up in the search engines when searching with your keywords? If not, you’ll want to consider our web promotion and optimization services. For do-it-yourself SEO and smaller budgets, try our new SEO Services! Easily Create & Edit Databases: All accounts are equipped with MySQL which is a very powerful database and one of the most widely used today. Now you can quickly create multiple databases capable of holding millions of records. We've made it easier yet with the phpMyAdmin utility for quick access and editing of your MySQL database data.